40 Inch Arc Personalized Kids Safety Umbrellas with Hook Handle are great for the promotion of schools, gaming centers and also kids stores. These custom kids’ umbrellas are featuring push-up design, plastic safety protectors to cover all sharp tips and also White fiberglass frame. Made up of 190T Polyester w/ metal armature & plastic edges, these custom umbrellas are also coming with a plastic j-shaped handle and friendly color combinations. Order these umbrellas right now to get free online proofs and free artwork design services. 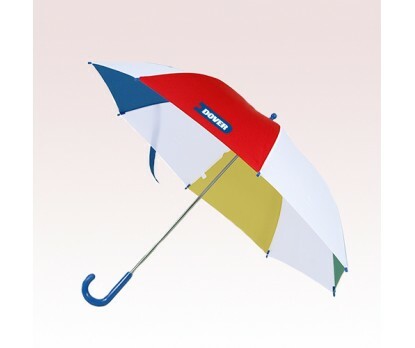 Request a quote to know the value savings that you can avail on bulk orders of 40 Inch Arc Personalized Kids Safety Umbrella with Hook Handle.